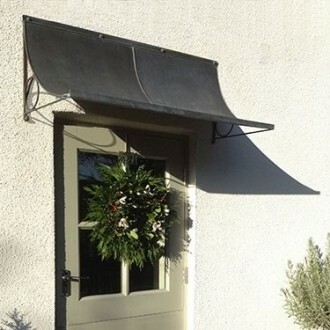 Keep the carol singers dry this Christmas with a Scoop door canopy. This lovely image was sent in last week by one of our customers who’s delighted with her Aged finish Scoop door canopy. At this time of year when you may receive more visitors than usual, what better way to keep them dry? Many of us use the side or back door more often than the front door, so a door canopy is a very practical solution to keeping you and your door dry whilst you put down your shopping to find your keys. Just get in touch for more details or to place your order.